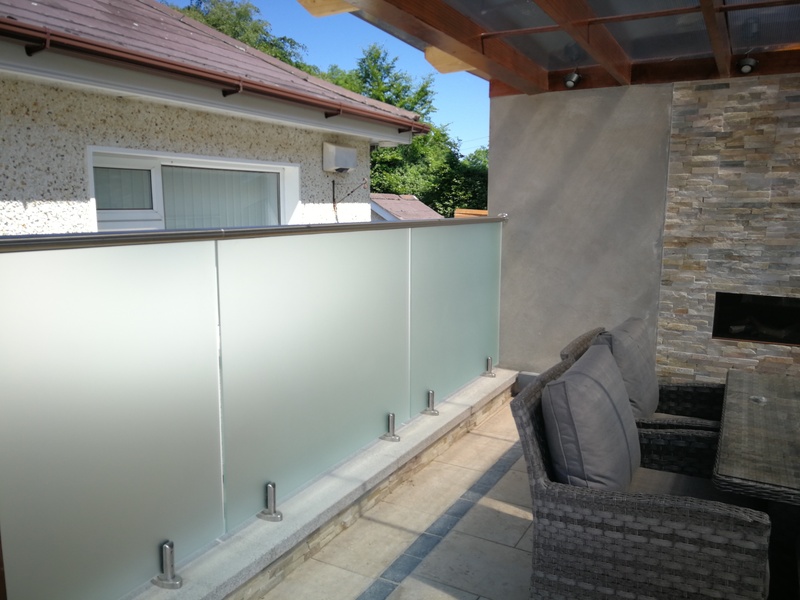 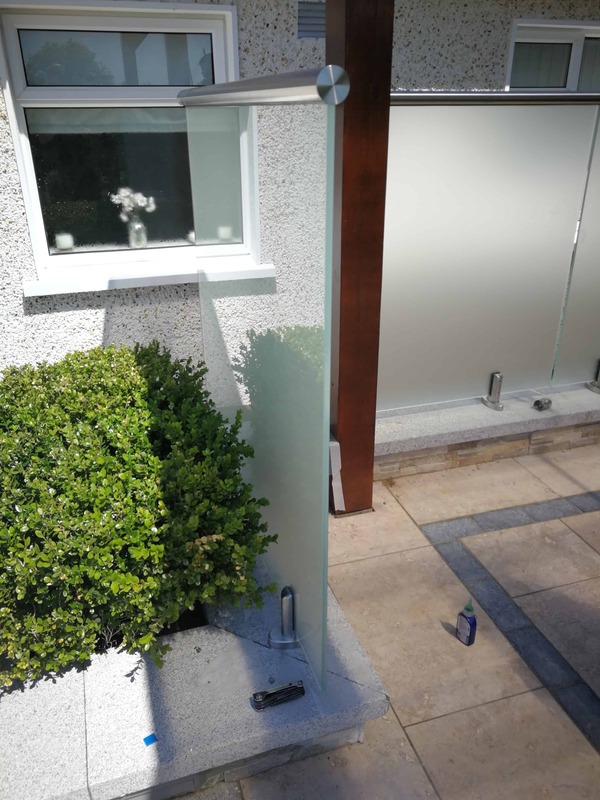 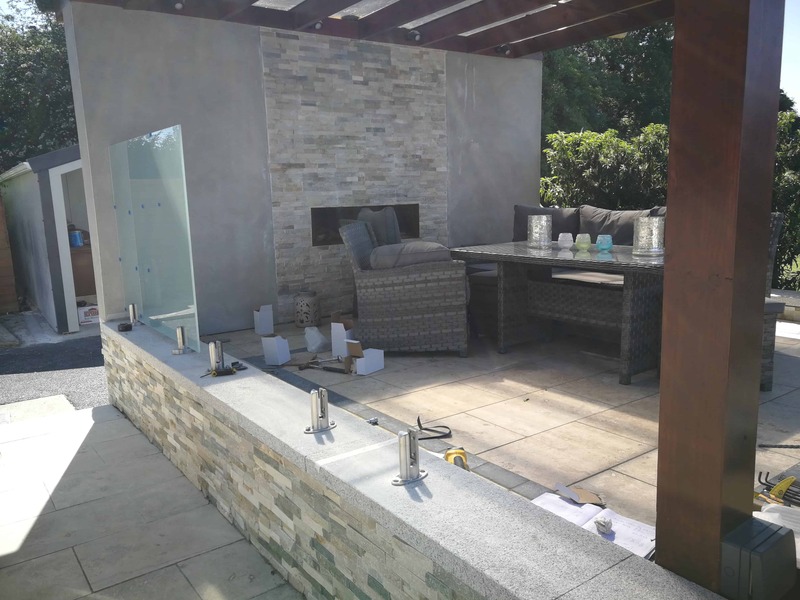 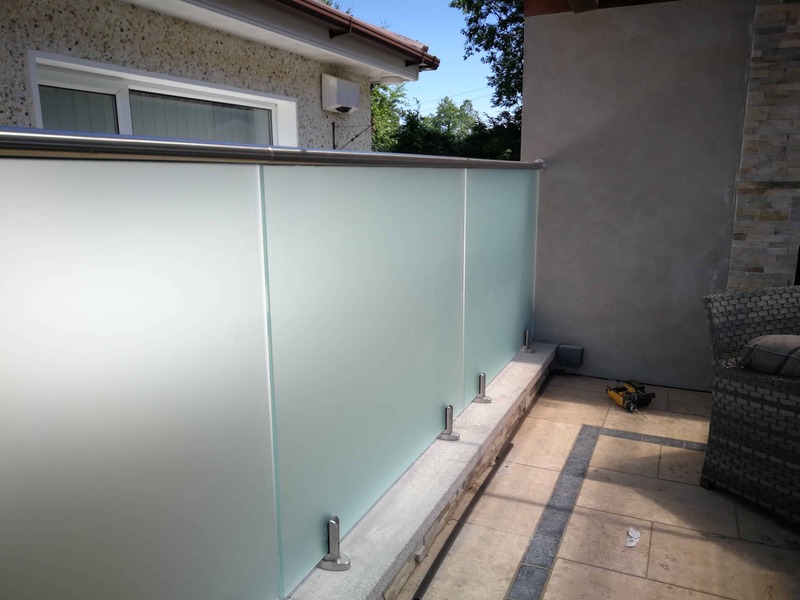 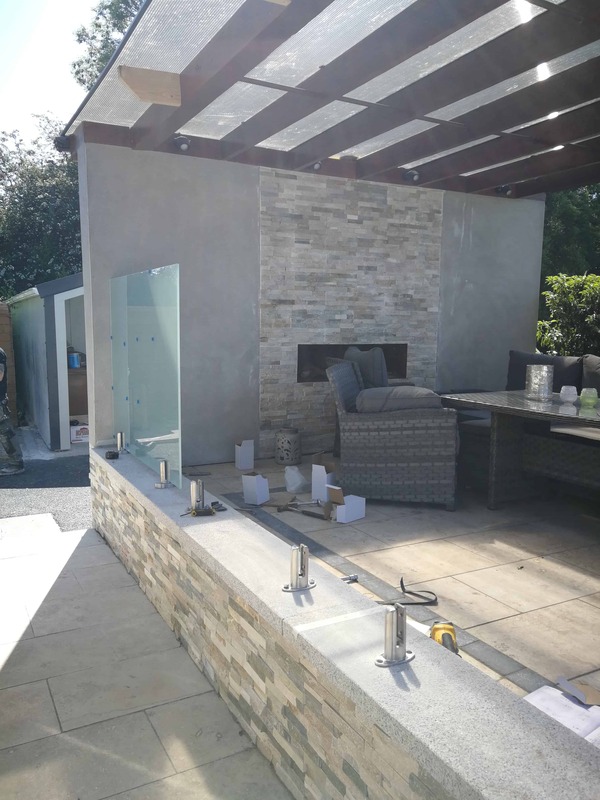 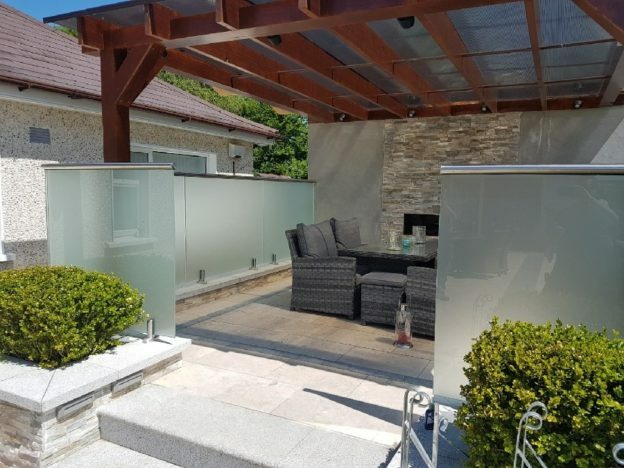 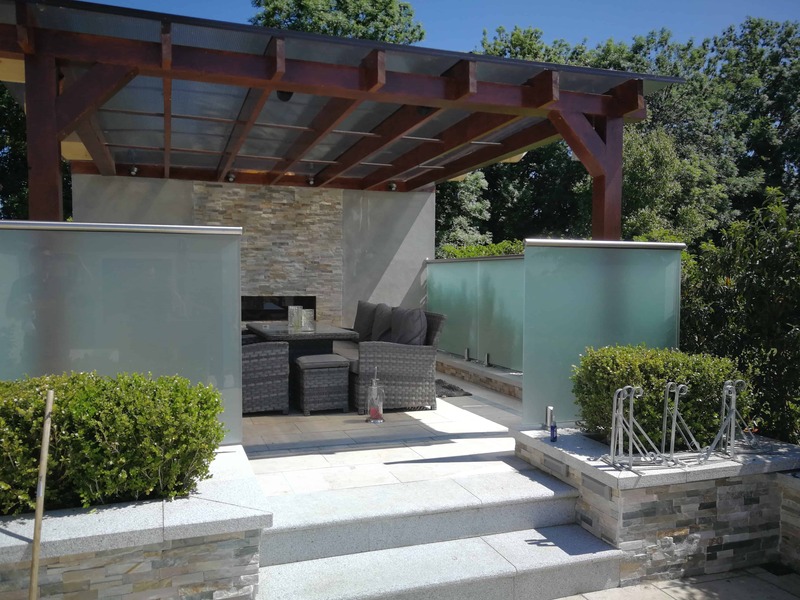 Allspec Glass were engaged by the home owner to create an outdoor wind barrier and privacy screen to their back garden patio area. 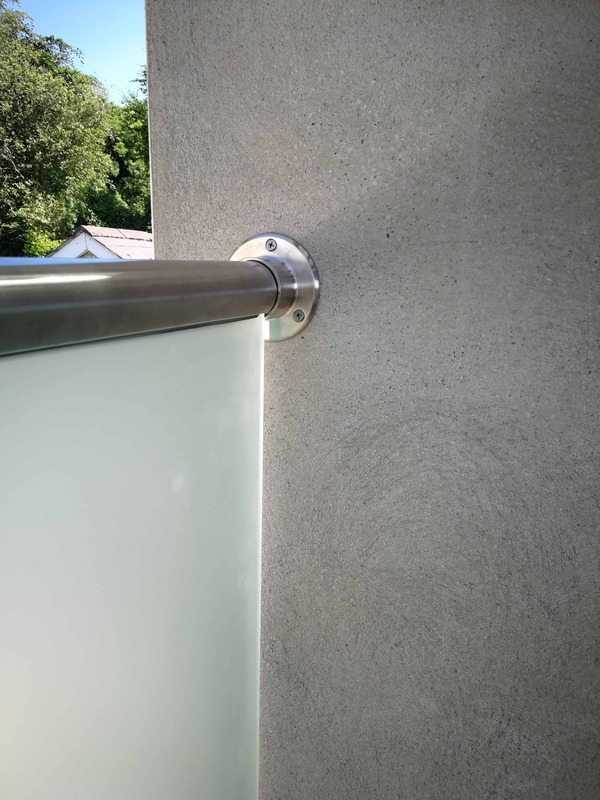 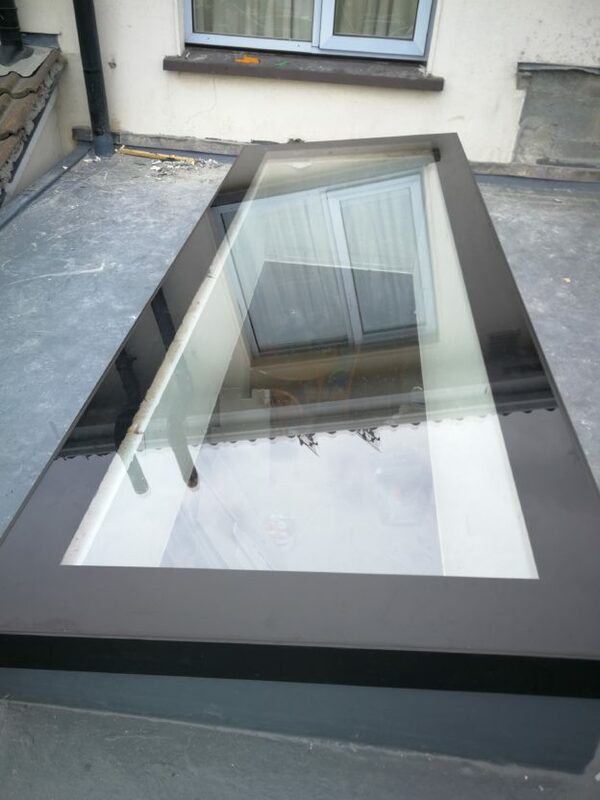 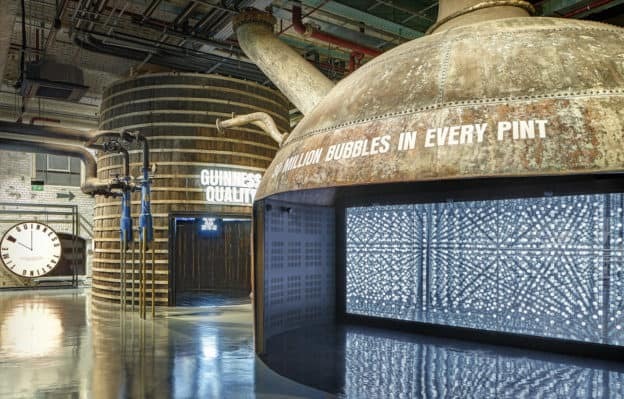 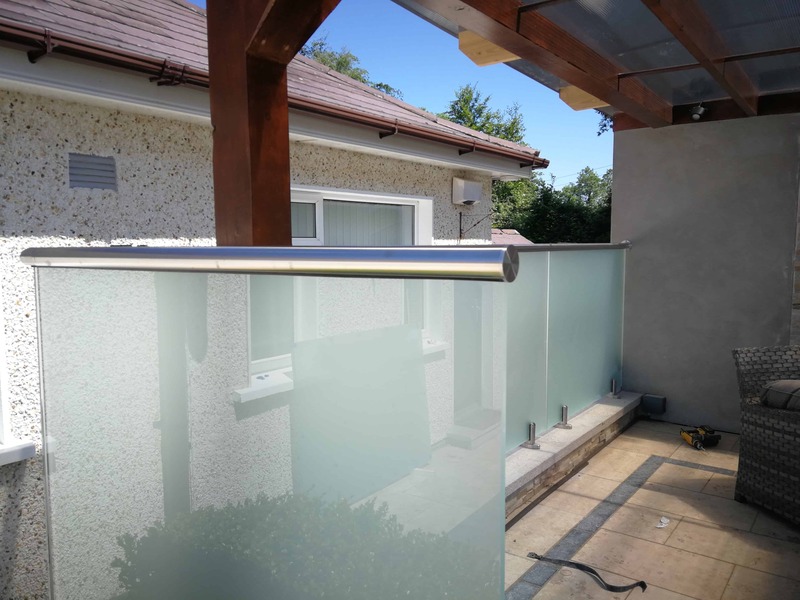 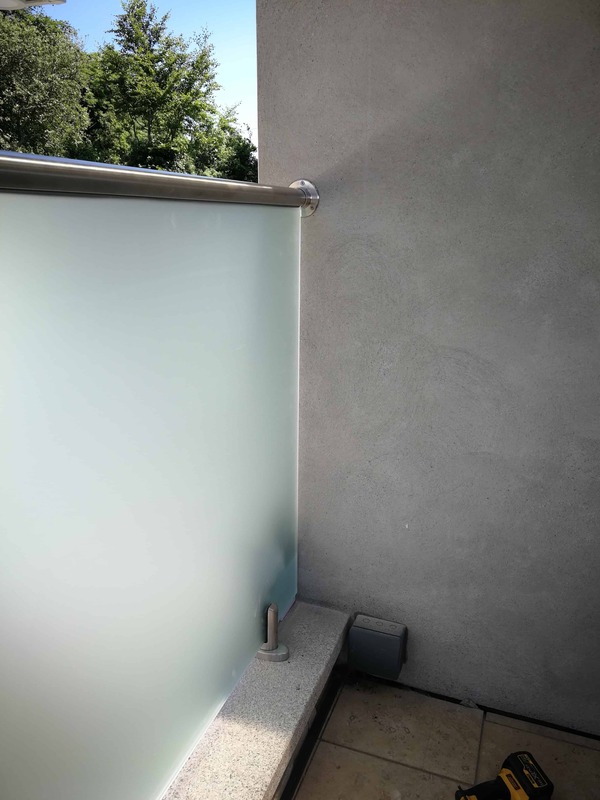 We supplied and fitted 12mm Satin Toughened Glass fixed into 316 stainless steel spigots and 316 stainless steel handrail to top of glass. 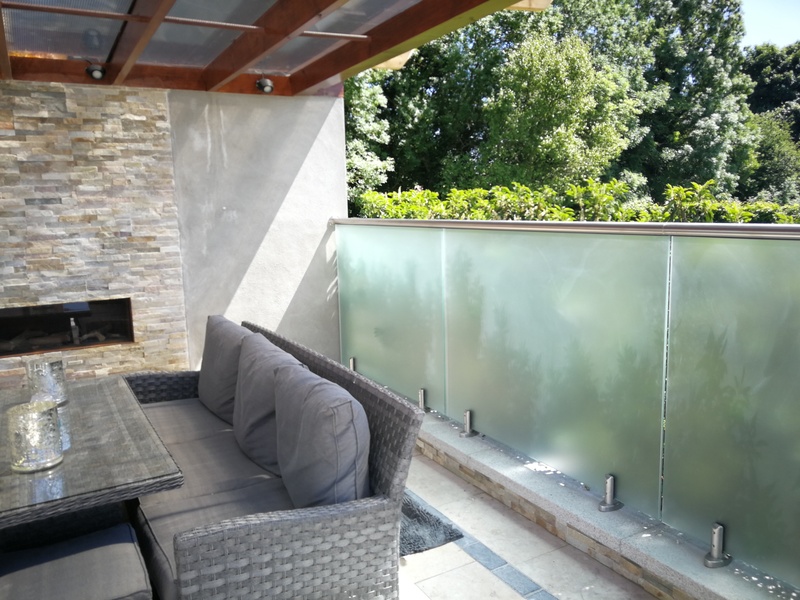 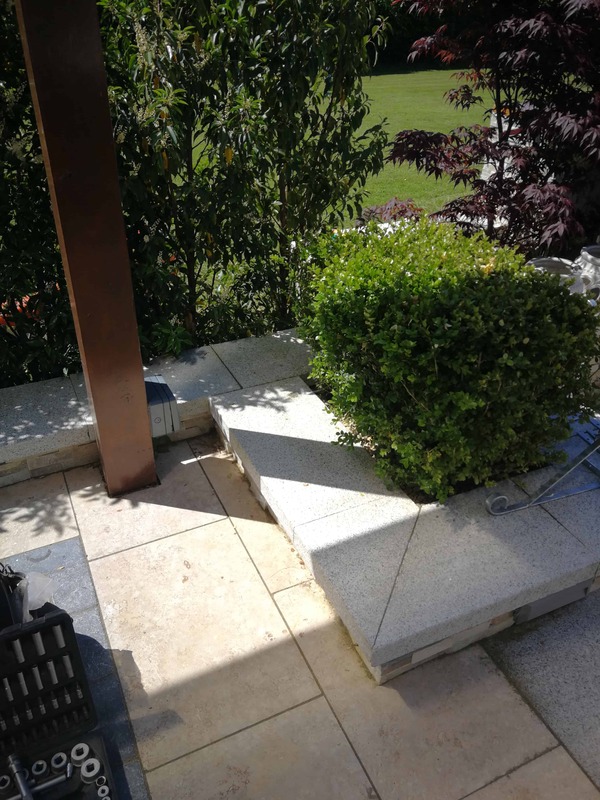 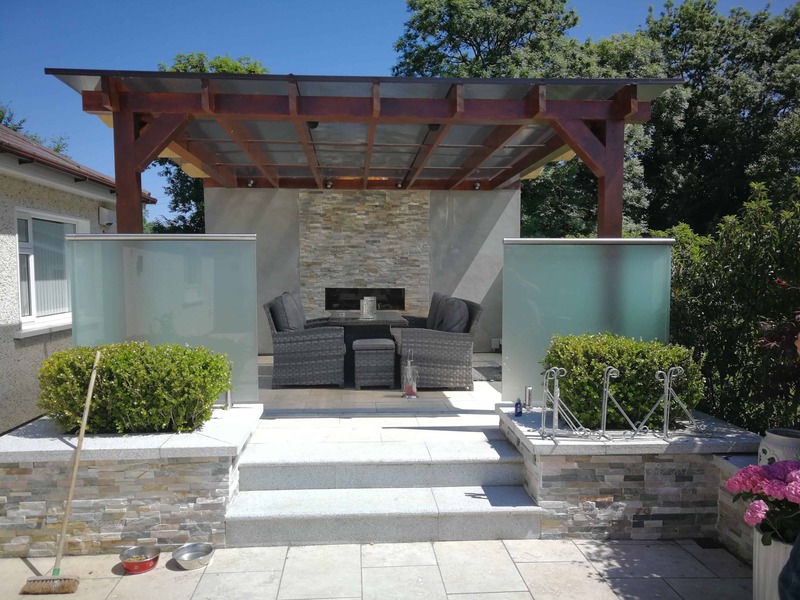 This created an “outdoor” room making the most of the sunshine but allowing privacy by the satin finish and deflecting wind and inclement weather.